The Black Swan has to be discussed on two different levels. The first is its topic, the impact of the highly improbable, our failure to recognize the importance of rare events, our belief in exact scientific predictions. The second is Nassim Nicholas Taleb’s rhetoric. 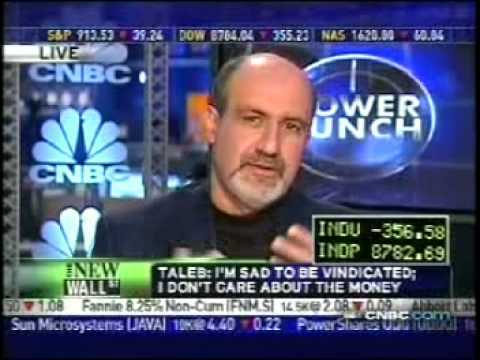 Taleb’s style is very entertaining. Unless your are an (financial) economist, statistician or social scientist. Taleb shows very little sympathy for researcher in these fields, up to the point where his rhetoric becomes almost insulting. His criticism is mostly justified. His language not. Thus it is no surprise that it is Taleb and not his work per se that is attacked by those who are affected. Unfortunately, his rhetoric impedes the necessary impact on the profession. If you feel being under attack your are not likely to embrace the critical message. Unfortunately for the profession, Taleb is right. His point being most dramatically proven just shortly after his book hit the shelves. So, the remaining question is: how do we identify real world phenomena where we cannot rely on past experience? Where we do not have something like a random walk but rather have to expect to be confronted with an occasional random jump? That we live in world of many extremes is already nicely illustrated in the book. Yet, not everything is extreme and as Taleb explains himself where to expect extreme events is often rather hard to identify. So, it is no wonder that we are prone to what Taleb calls the ludic fallacy. I appreciate that he does not offer a simple (and wrong) solution, that he does not try give an universal answer, that he just points us to a problem we should be aware of so that every once in a while we are not too painfully surprised.